While talking about eggs for breakfast my two favourite ways to cook them are poached and scrambled. But I love to make every breakfast special. I never make two same breakfast in a row. That’s why I need a huge number of breakfast ideas. 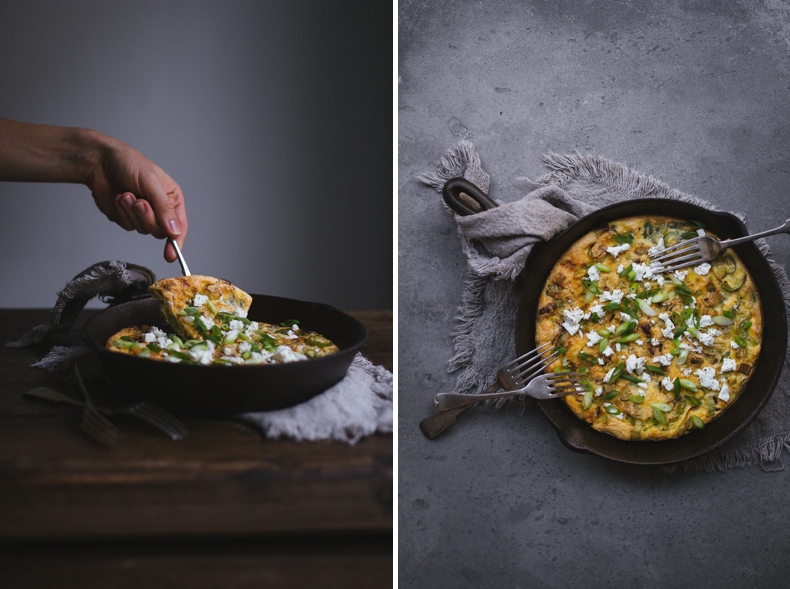 Frittata is not one of the boring options. 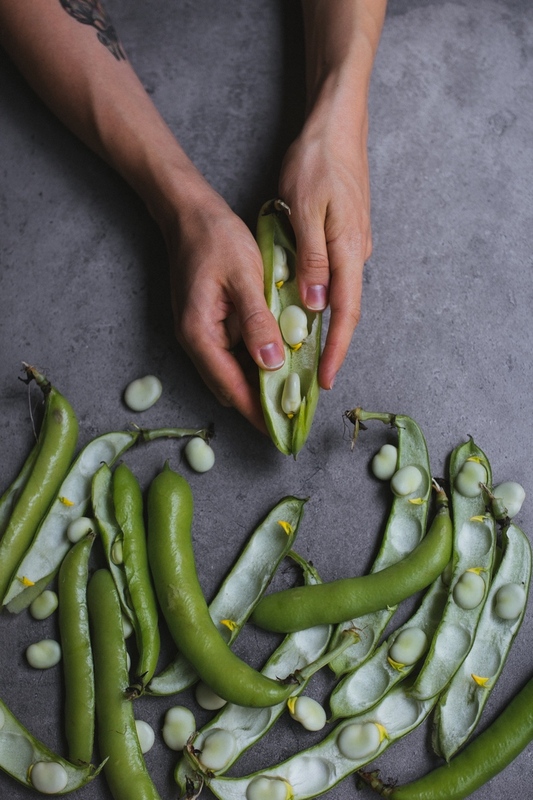 I have some ingredients that I use often and but broad beans is something completely new for me. Every time I saw at them at the store I thought what to do with these huge scary pods. 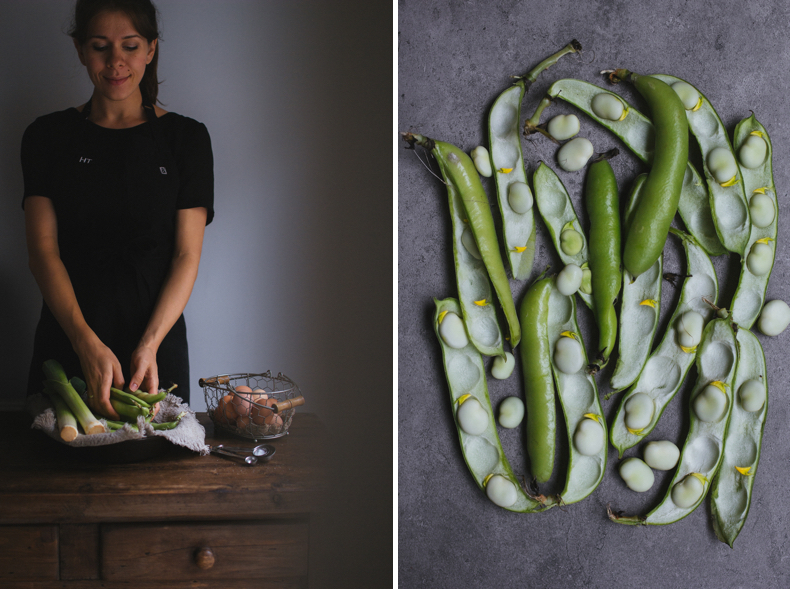 I do like beans like peas, chickpeas…So what is it about these gigantic broad beans. The best time to eat them is while they’re young and tender. You can use them in pies, in green salad adding greek Feta and sprinkle with lemon juice. I think it can be a perfect dip. 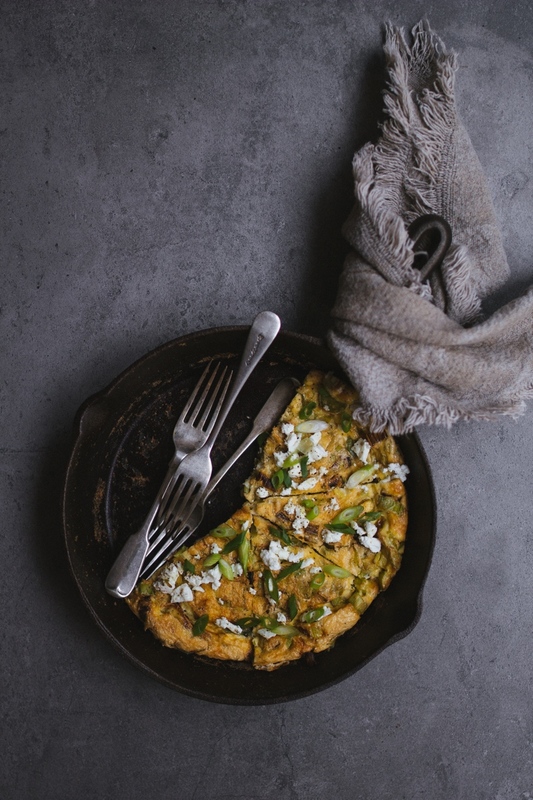 I’ve added them to my breakfast frittata combining with leeks and feta. 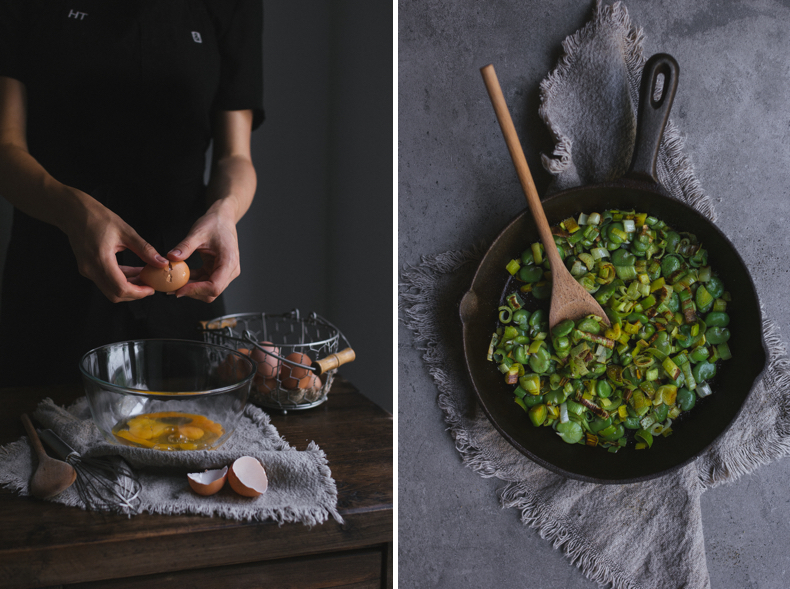 Prepare the broad beans. Shell them and boil in the medium pan for 1 minute. Let cool and peel away the skin. 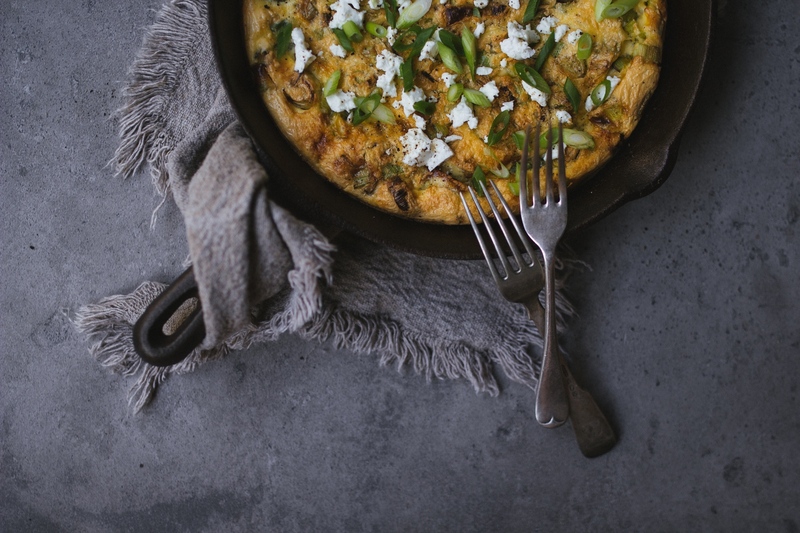 Heat the olive oil in the cast iron pan (in which you will make your frittata) over a low heat. 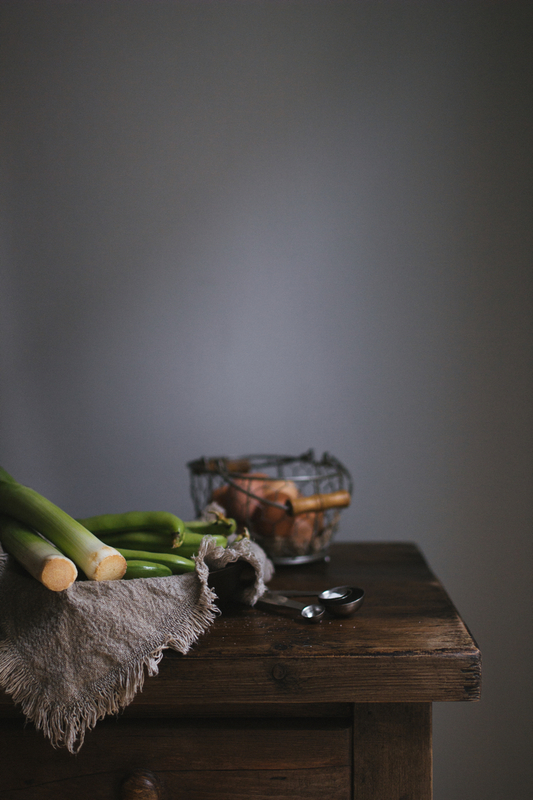 Add sliced leeks and cook stirring constantly until softened but not browned. Add the broad beans and 50 g Feta, mix them. Heat the oven at 175C degrees. Whisk eggs for less than a minute, add the sour cream or milk and sprinkle with sea salt and pepper. Pour in the egg mixture and fry on the highest heat for about 30 seconds. 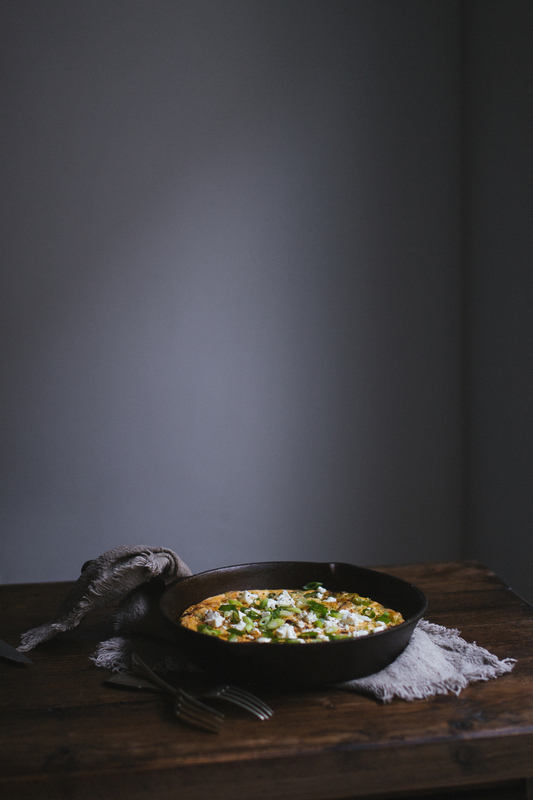 Move the pan to the oven and bake frittata about 8-10 minutes or until golden. 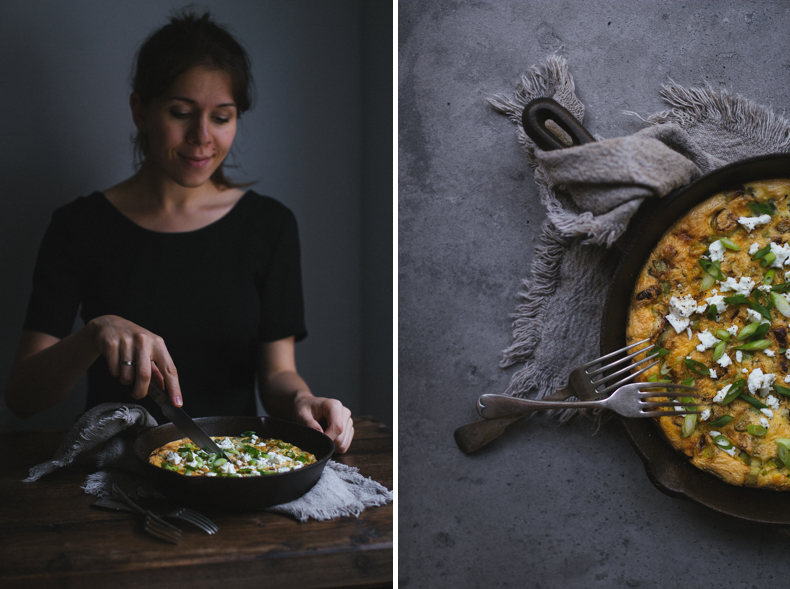 Cut it into wedges and serve warm with Feta pieces and sliced spring onions or other seasonal greens. Me too! Perfect meal) Thank you, ladies!